Climate change is the result of a gradual increase of greenhouse gases in the earth’s atmosphere and is going to be one of the biggest environments challenges of our time. Climate change is projected to alter long-term average climatic conditions in New Zealand including marked seasonal changes in rainfall and extreme weather events as well as an increase in the average sea level. In response to international commitments to reduce carbon emissions, the government is set to introduce the Zero Carbon Bill to parliament by the end of 2018. If passed, the Zero Carbon Act will come into force in mid-2019. The Act will specify an agreed greenhouse gas emission target and will also likely set up a framework for how to meet the target including the establishment of a climate change commission. How will climate change affect us? Changes to our climate will affect our economy, the environment and will potentially affect existing and future land use and development. There is still a lot of uncertainty about the rate and scale of the effects of climate change but we do know that planning for the future means planning for a different climate. What will this mean for Raglan? 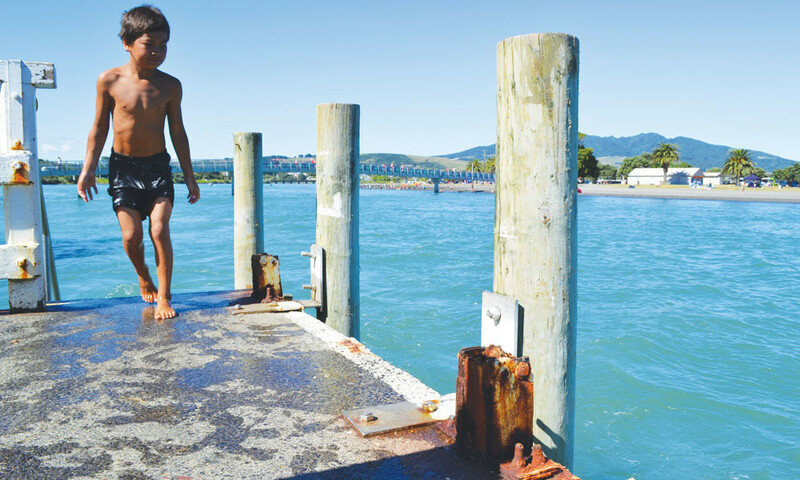 • Inundation and erosion – Coastal properties in Raglan may experience increased risk from coastal erosion and inundation as a result of sea level rise and more intense storm events. More intense and prolonged rainfall may also lead to more erosion and landslides on erosion prone soils. • Agriculture – Potential benefits from warmer temperatures resulting in a longer growing season with fewer frosts. However there is potential for limitations from prolonged drought and reduced water availability. • Rainfall – greater frequency and intensity of storms potentially resulting in an increased risk of flooding. • Biodiversity and biosecurity – Potential for an increase in invasive weeds and pests species and stress on indigenous species due to increased temperatures and changing rainfall patterns. • Infrastructure – challenges to the maintenance and operation of network infrastructure as a result of increased rainfall and rising sea levels. • Coastal setbacks – Sufficient coastal development setbacks will be required to allow for the inland migration of coastal ecosystems and continued public access to the coastal margins as sea level rises. Buffers will also be required to avoid damage to property from coastal hazards. • identifying the opportunities and challenges to becoming more resilient and exploring strategies to address these. is the infrastructure going to support this – 3 waters, parking, roading demands, facilities. What is the opportunity for us here in the Raglan area? What is the growth prediction for Raglan? What is Waikato District Council plans for growth for Raglan, within the District? The new Waikato District Council Blueprinting Process for Raglan will identify the direction for Growth and Development. The community feels the impact of high visitor numbers (especially over Summer and shoulder periods). What info can we gather to inform community of the facts/data? how can we have a say about how it happens here –messaging about our community values, how is Raglan promoted, .. The opportunity for us here in the Raglan area? Lots of people in Raglan are aware of and affected by housing challenges. The median house price rose gradually from 2013 to 2017 then increased suddenly in late 2017 from $390,000 to $580,000 in mid-2018, however QV values for October 2018 list the median price at $670,000. Vacant section prices saw a similar sharp rise from 2017 to 2018 with the lower quartile price rising from $176,000 to $250,000 and the median rising from $270,000 to $355,000. Median rent has risen from $290 per week in 2013 to $340 in 2016 to $440 per week in 2018. Availability of long term rental properties has declined sharply in the same period by 25 – 30% which affects not only local residents but seasonal and other workers who are required to service the local workforce. Forty percent of rateable property owners are resident outside of the Raglan ward and a third (28%) of properties are listed as unoccupied holiday homes with a quarter of those being listed on AirBnB. Growth has created a demand that is outstripping the current rate of new property development. Over the medium term to 2026 the demand for new housing in Raglan is predicted to be 419 or a 21% growth. The current rate of new house build at an average of 22 per year would need to double over the next 8 years to meet that demand. Income data for Raglan predicts that those on the median income or less have been priced out of the housing market. A median per annum household income in 2018 Raglan of $55,600 can be deduced by adjusting the 2013 census income of $47,500 by the 17% national income growth rate since 2013. Statistics NZ calculate that a household income of $55,600 could afford a house purchase in the range of $323,000 to $387,000 assuming a 20% deposit. 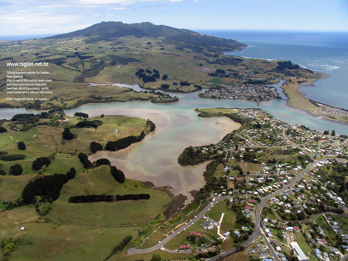 The opportunity for Raglan is to re-define what ‘affordable’ housing looks like. Land costs and the size of new houses define the overall cost of housing. House design and the materials used in construction define how ‘affordable’ a house will be to live in. Careful design that minimises water use, maximises water harvesting, orientates the structure to maximise passive solar warming, and circulates internal air regularly to expel moisture are all smart tools to produce warm, dry, liveable homes that are low energy consuming and economical to run. Raglan has an opportunity to design new housing builds that support access to long term rental at affordable rates and to build new homes that those earning the median income or less can afford. This means building smaller, smarter and with superb design to create communities where all can afford a desirable, healthy home. Collaboration with willing land owners, supportive planners and innovative investors will be essential to success. WRAP or the Whaingaroa Raglan Affordable Housing Project was formed by the Raglan Community House and local community leaders as a response to hearing many stories of stress and concerns related to housing. The first step has been to gather data to try and understand how many people are affected by the rising cost of housing. WRAP have commissioned StrategEase, an independent research company to provide us with a report drawn from various databases about existing housing in Raglan, including cost to purchase or rent and income data that allows us to understand affordability. The data quoted is drawn from this report. A householder survey designed to try and understand the degree of stress that housing costs are causing has recently closed and is being analysed by researchers at Waikato University. WRAP received funds in March 2018 from the WEL Energy Trust Vital Impact (Housing) Fund to conduct the research. The final reports will be shared with WEL Energy and the community with the view to creating a community led housing initiative in 2019. Raglan Housing Study August 2018 Strateg.Ease Strategy Business and Economic Analysis. Some questions and thoughts for us as a community..
Other Key Challenges and Opportunities?